What if there were NO new Magic Kingdom attractions? [Question] What if there were NO new Magic Kingdom attractions? What if I told you that, for the next 10 years, there would be NO new attractions at Walt Disney World’s Magic Kingdom. No A, B, C, or E ticket rides or attractions. Some new parades and live entertainment, yes, but NO $100 million + new experiences. No new lands. No removal of Mickey’s Toontown Fair. No Ariel’s Undersea Adventure. No new character Meet-and-Greets. No Pixie Hollow. How would you feel? Would you want to go back anytime soon? Thank about it for a minute, before you keep reading. - The Many Adventures of Winnie the Pooh would be converted to the more elaborate Pooh’s Huney Hunt, using TDL technology. - Replace the red cement on Main Street with real bricks. - All of the Main Street buildings would receive a fresh coat of paint, yearly. - The Magic Shop would be brought back to the Magic Kingdom (could even use Houdini’s, like they now do in Anaheim DL). - Nickelodeons would be brought back to Main Street, taking over the Main Street Cinema (which is now just another store for Miley Cyrus CDs and overpriced books/prints). - Tomorrowland would be completely refurbished, and a unified theme would be established. - The Carousel of Progress would receive an updated show/storyline, with new animatronics. - Indy Speedway would be converted to electric cars, such as at HKDL, and the grand stand/queue would be renovated. - The Tiki Room would be converted back to original show, with upgraded animatronics. - The Adventureland Veranda Restaurant would re-open, to provide additional meal options. A more affordable meet-and-greet could be place here, QUITE easily. Safari Mickey, Aladdin characters, Lion King characters, etc. - Jungle Cruise upgrade, fire/wire effects, piranha attack, etc. - The Country Bear Jamboree would re-introduce its yearly Holiday overlay. - Outside vending/food carts would be cut back. - Merchandise would again be specific to each land, not a generic “Disney Store” selection everywhere you went. 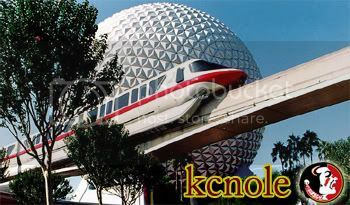 - The Mark 6 monorails would be upgraded one at a time in “retro” fashion, similar to Anaheim DL, but with more cars and new air conditioning units. - Monorail pylons would be pressure washed to remove the years of grime and grease. - All visible rooftops would be cleaned/refurbished. - Open up the bottle neck/narrow street passage from Fantasyland at the Columbia Harbour House. - on, and on, and on, and on……. Would the trade-off be worth it to you? The real question here is: do you NEED a new E-ticket every few years, to keep the park fresh, at the expense of regular upkeep? Or can you heavily invest in existing infrastructure, and keep people coming back? $100+ million for a new ride/attraction, or take ALL OF THE MONEY and spread it everywhere around the park. Last edited by chris2fett; 12-04-2009, 11:25 AM. Re: What if there were NO new Magic Kingdom attractions? I like the upgrade a lot. It's a lot like Disneyland. Wow! Those are some excellent thought-provoking points! I'd rather see the freshening up and upgrading of current experiences, rather than a bunch of new stuff. Partly because I've never been, so it's all new to me, technically, but also because (from what I hear) this is what needs to be done- much moreso than adding rides. If they were to get the park back up to REAL Disney standards, then I say that that would be an acceptable trade-off. Are there really no brick pavers on Main Street? Yikes. Count me in for the latter. Please...don't call me simmer, call me Mike Folf. I am a Canis Lupus Vulpes Americanis Califius, otherwise known as a Californian Folf. The powerwashed pylons really add a nice touch. 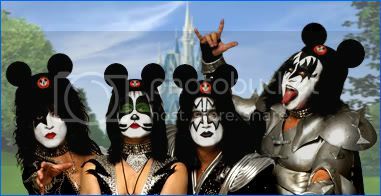 I think there's a picture of them washed by TT at Epcot somewhere around here. -All of the Main Street buildings would receive a fresh coat of paint. Other than that, I would say that is a great strategy to keep attracting both new and returning guests to the park. Additions like Pooh's Hunny Hunt and the NBC overlay would make a tremendous difference, although I'd count the Pooh ride as more of a new ride than a simple upgrade. I think I'd be down for a decade of cleansing. I'll take curatin #2, Monty! Aside form the Pooh's Hunny Hunt they should be doing all of that stuff anyway...and adding an attraction or three, including a couple of E-Tickets. I'd take list 2, even I if strongly doubt there is space for Pooh's Hunny Hunt. However upgrades to that ride's special FX (and Peter Pan's and Jungle Cruise's too!) would be wonderful. Can I add having at least one not overpriced/character dining option at Cinderella's Royal Table? Dinner may not be a "character meal" in the full sense but paying $43 for a fixed meal with a unnecessary "show" and photo package is very unappealing to me. I like The Happiest Millionaire. What's wrong with that? I've pretty much been asking for this for a while. Don't add anything new, just make everything that's there pristine and top of the line like it once was. Its the same response when someone brings up a new park. I don't want a new park while the 4 we have are in terrible shape. Bring all 4 up to the point where they can't really be improved anymore, then consider a new park. I'm going with the majority here. Fix what we've got. I've been 3 times this year and I don't feel like I need new rides to enjoy my time there. In my original post above, I'm thinking that the Adventureland Veranda, WHICH ALREADY EXISTS but has been closed for some time, could be readily converted into a character dining meet-and-greet. I'm adding ideas here as people bring them up. Wouldn't it be GREAT if somehow we could get such a list, like a petition, the the heads at WDW? It would probably have to be championed by the likes of Lassiter to really get it going, however. Fat chance he'll ever see such a post or read such a letter. Long have I pondered why MK is the most visited of the hub-n-stokes parks yet it is the least maintenanced and upheld. Now for the upgrade list, Snow White and Small World are refurbished to modern standard and Splash receives the advanced braking system of its Tokyo cousin.So now riders are truly splashed outside the summer months rather than drenched. I have to say that I'm sticking with spending the money on expansion and new attractions. I'm not saying there aren't some things I really like on the Upgrade List, but to me, MK has evolved the least of the 4 parks over the last 20 years and some new additions would give me a renewed hope for the park's future. For MK to have a bright future, it's not dusting off existing things and slapping some paint on them but breaking new ground and making new things. Of the long upgrade list, the only thing I find to be a critical upgrade is the the conversion of the Tiki Room back to the original. Like I said, I like some of the other ideas, but I don't really feel that most of them are essential. But if it were a choice of nothing vs. upgrades, I'm all for spending the money on almost all those things. However, I'd still rather spend the money on new projects rather than old ones. Drink life to the lees. This is exactly what I was thinking while I was reading this thread. Most of this would just be regular maintenance and upgrading: Painting, powerwashing, upgrade to LEDs (Disney should be all for this since they are trying to be all "green" and stuff), roof repairs, etc. They should be able to maintain the park AND add some new major attractions every few years. There isn't room for Poohs Hunny Hunt in the current building, the only way that could clone it to magic kingdom would be if the replaced the current pooh with... Mr. Toads, and built Poohs Hunny Hunt across the way in the old 2000 leagues filled up lagoon.